Take a look at our videos for handy hints and more information about Elevit. Breastfeeding is one of the most challenging nutritional periods in a woman’s life. Your nutritional requirements change after the arrival of your baby, and meeting these increased needs can be hard to achieve through diet alone. 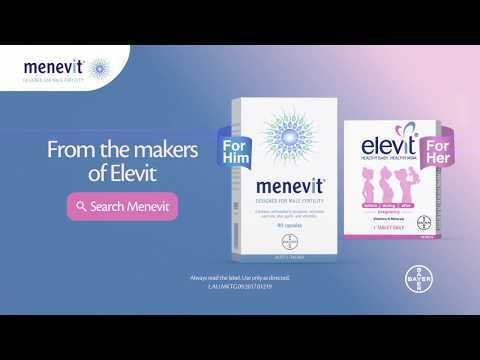 Elevit Breastfeeding is a specially tailored supplement designed to help you meet your increased nutritional requirements and support the healthy development of your baby. Is Eating Two Cans of Tuna Per Week Enough? Is One Cup of Leafy Greens Per Day Enough When Breastfeeding? Not sure how far along you are? Use Our Pregnancy Journey to find out. © CopyRight Bayer. All rights reserved. The website is intended for Australian audiences only. Always read the label. Use only as directed. Vitamin supplements should not replace a balanced diet. If symptoms persist consult your healthcare professional. If you have had a baby with a neural tube defect / Spina bifida, seek specific medical advice.